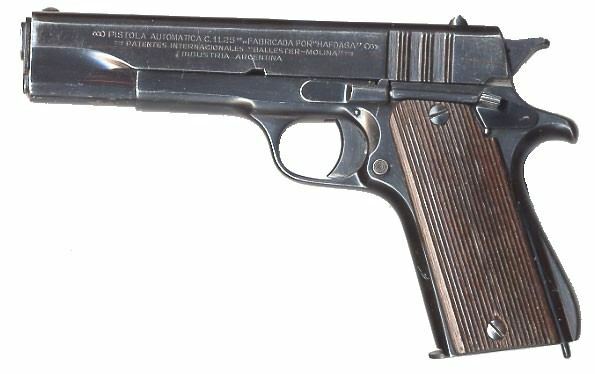 The Ballester-Molina Pistol, originally known as Ballester-Rigaud (and marked as such during the first years of manufacture, circa 1938 to 1940), were made in Argentina by the Hispano Argentina de Automotives SA (HAFDASA) company. Manufacture started in 1938 in an attempt to provide Argentinean police and military with a less expensive alternative to the Colt Modelo 1927 Pistol, a domestically made licensed copy of the American Colt M1911A1 pistol. Production of the Ballester-Molina ceased in the early 1950s. While the Ballester-Molina pistol is externally very similar to a Colt, it has significant differences, especially in the safety and trigger unit arrangements. Actually, the only parts exchangeable between a Ballester-Molina and an M1911A1 are the barrel with a link and the magazine. The trigger and safety arrangements were more or less copied from the Spanish Star pistols, with the pivoting trigger, single trigger to sear link, and without a grip safety. Ballester-Molina pistols were used by Argentinean military and police, as well as supplied to Britain during the Second World War. 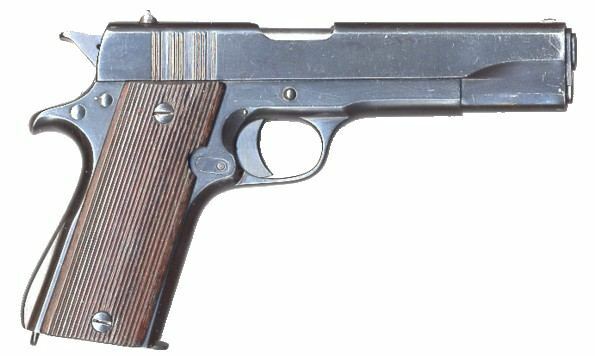 Britain issued these pistols to their Special Operations Executive (SOE) agents, who usually operated behind enemy lines. The Ballester-Molina pistol is a short recoil operated, locked breech pistol. the locking system is similar to that of the Colt M1911A1, with the swinging link used to unlock the barrel from the slide. The single action trigger is pivoted on the axis, the frame-mounted manual safety locks the slide and the hammer.